Conceived by a man in debtor’s prison, planned by inexperienced government officials, and dug by the hands of farmers and day laborers, the Erie Canal was improbable from the start. Cutting through 363 miles of upstate New York wilderness, it offered remote towns exposure to previously unimaginable people and beliefs. The canal turned out to be an ideal conduit not only for commerce but also for the spread of religious and ideological fervor. 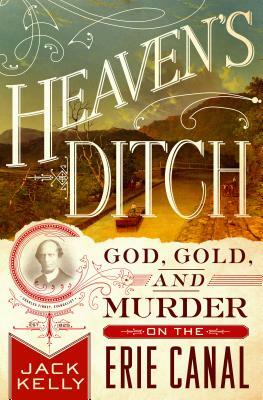 Kelly deftly and enjoyably introduces us to zealots, charlatans, true believers and others who saw the waterway as a road to both riches and souls. Enter this book and take your own rousing trip from Albany to Buffalo!